In 1787 HMS Bounty was sent by the Royal Navy to the Pacific Ocean to acquire breadfruit plants and bring them to British possessions in the West Indies. The ship's commander was captain William Bligh. After the famous Mutiny on the Bounty on 28 April 1789 Bligh and some of his men were forced to sail in an open boat over 3500 miles to the Dutch port of Coupang. In Wikipedia there are articles on the HMS Bounty, her Captain William Bligh, and the story of the Mutiny on the Bounty. Several films were made about the mutiny. 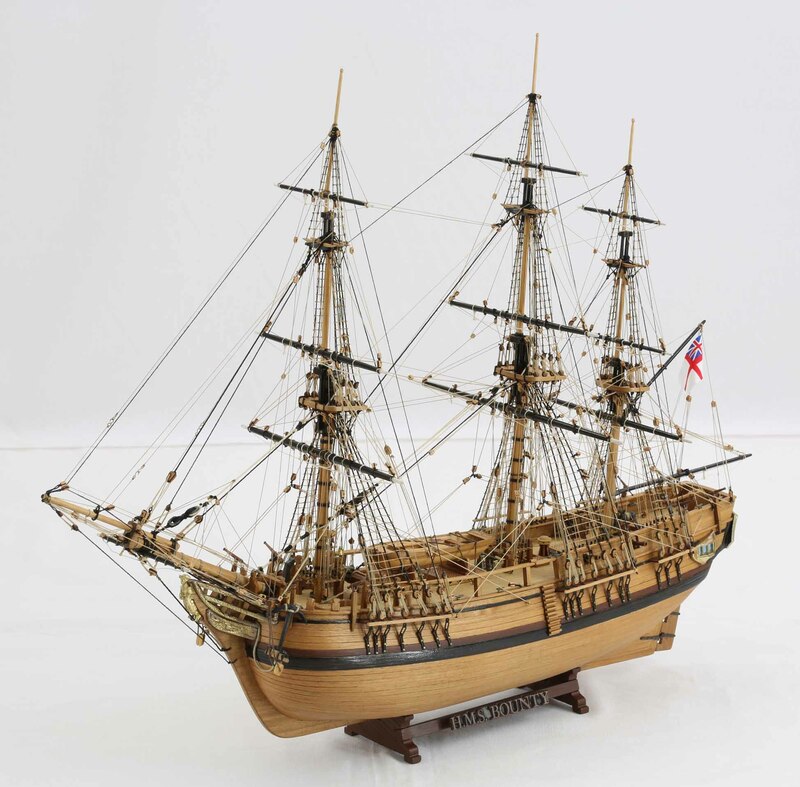 This model of HMS Bounty is a small but beautiful ship model. It is a pleasing piece of work. The ship model is 1 : 64 scale. Length is 62 cm, width 23 cm, height 49 cm.